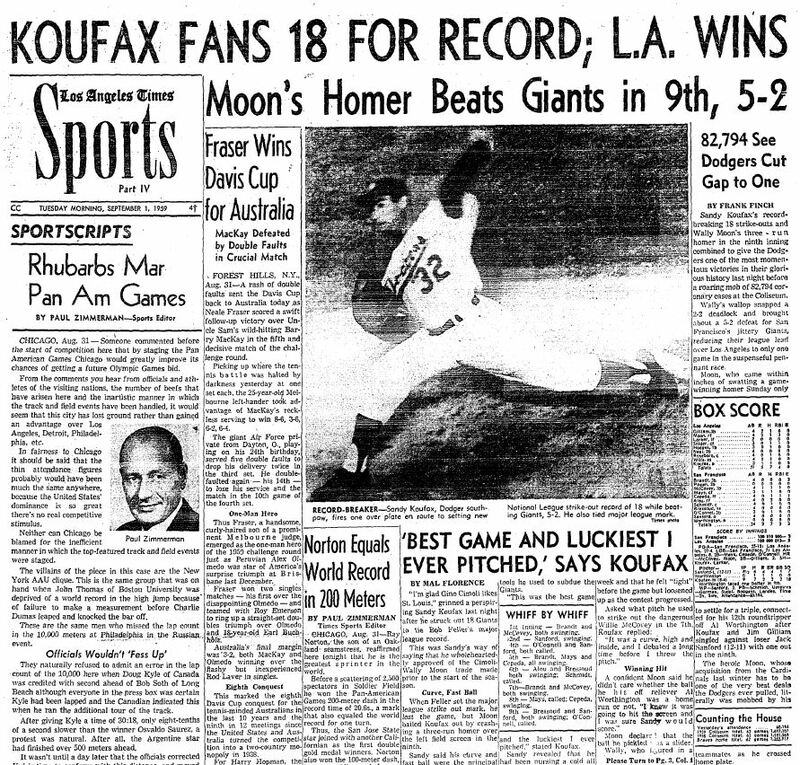 Sandy Koufax wasn’t unknown when he arrived in Los Angeles from Brooklyn, but it was on this date in 1959 that the fans out West caught their best glimpse of the future Hall of Famer. Pitcher wins are a nuisance as a measure of success and basically only qualify as trivia, but that doesn’t mean they can’t be interesting or deeply weird trivia. And it’s interesting and deeply weird that for the first time in franchise history, the Dodgers might not have a single pitcher win 10 games this season. 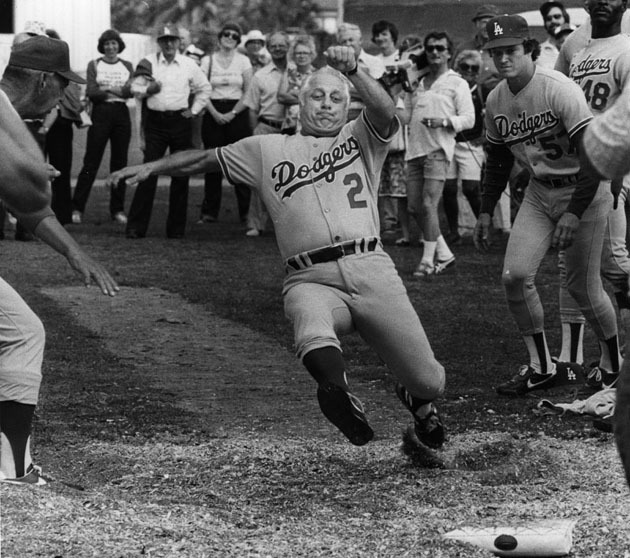 Would you have fired Tommy Lasorda before the 1981 season? Beginning his much-sought managing career in 1977, Tommy Lasorda won two National League West titles and two National League Championship Series in his first two seasons as Dodger manager. 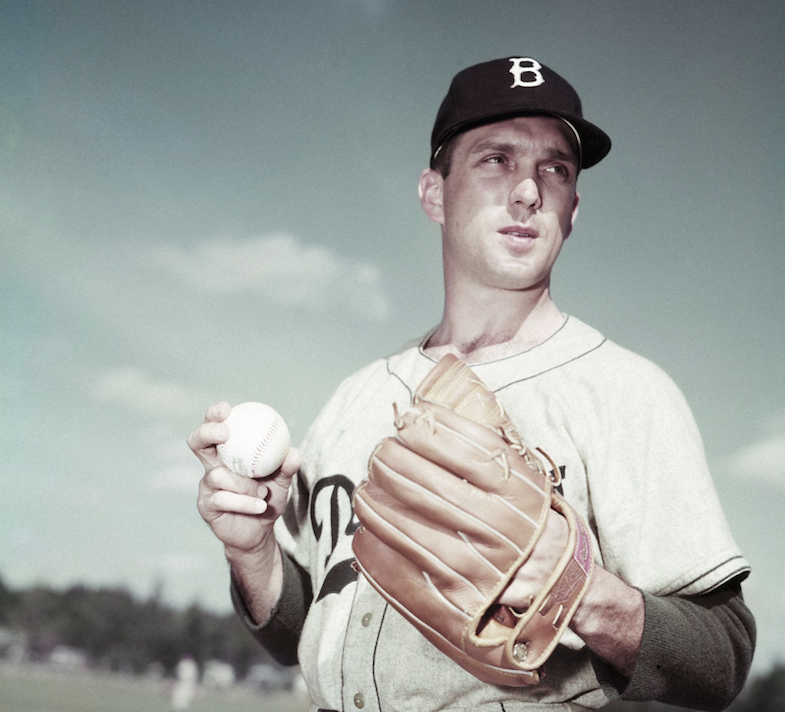 The team fell both times in the World Series to the Yankees. In 1978, the Dodgers lost their final four games in a row, and were wiped out by a combined 19-4 score in the final two. The 1979 Dodgers were a disaster — in last place at the All-Star break before rallying to finish third in the division, but still with their worst record in more than a decade. The 1980 Dodgers were a competitive team in a thrilling division race, but on the brink of completing an historic comeback, dissolved in a 7-1 defeat that makes Game 7 of the 2017 World Series look ultra-close. So after four years at the helm, the 53-year-old Lasorda averaged 91 wins per season, with two division titles, while extending the Dodgers’ drought without winning a World Series to 15 years, the longest gap in Los Angeles history. I don’t think I’m going out on a limb to suggest that if social media had existed back in October 1980, the cries for Lasorda’s head would have been deafening. I can still hear faint echoes from talk radio. So — and this is a sincere question — should Lasorda have been fired before the 1981 season? Look, I know everyone’s in a panic over their recent collapse, but despite their three-game losing streak, I still think the Boston Red Sox will make the playoffs. 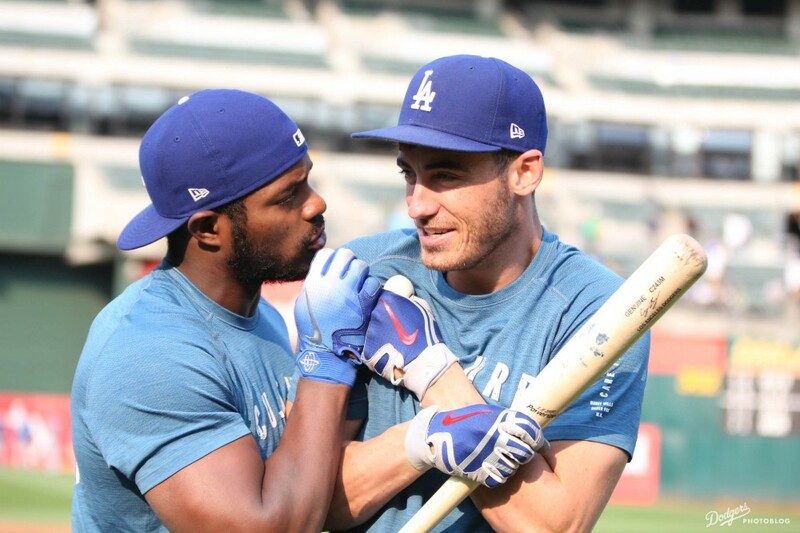 Oh, you were asking about the Dodgers? If the trouble with driving to Dodger Stadium were only about the area immediately around Dodger Stadium, that would be a blessing. Instead, the time needed for the journey just to get within shouting distance of Chavez Ravine has more or less doubled over the past 35 years. It’s basically a 15-mph drive on your average night now, and that’s with all the science of applications like Waze theoretically making travel more efficient. The problem with driving to Dodger Stadium is the problem with driving in Los Angeles. 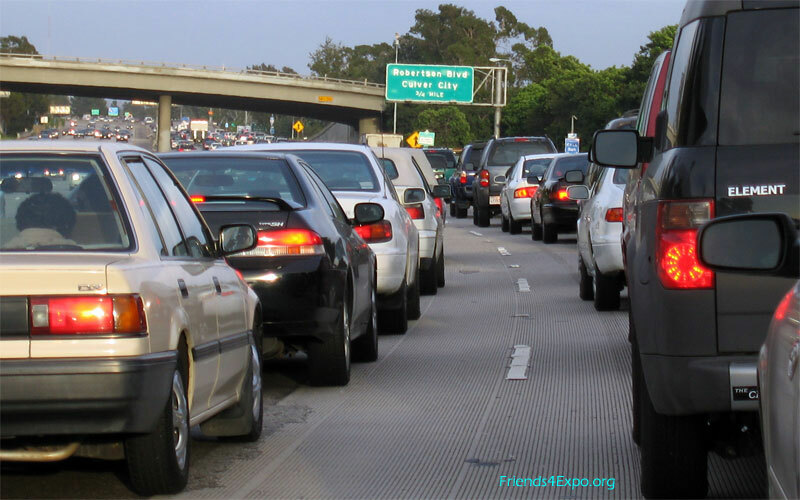 There are simply too many cars on the road. 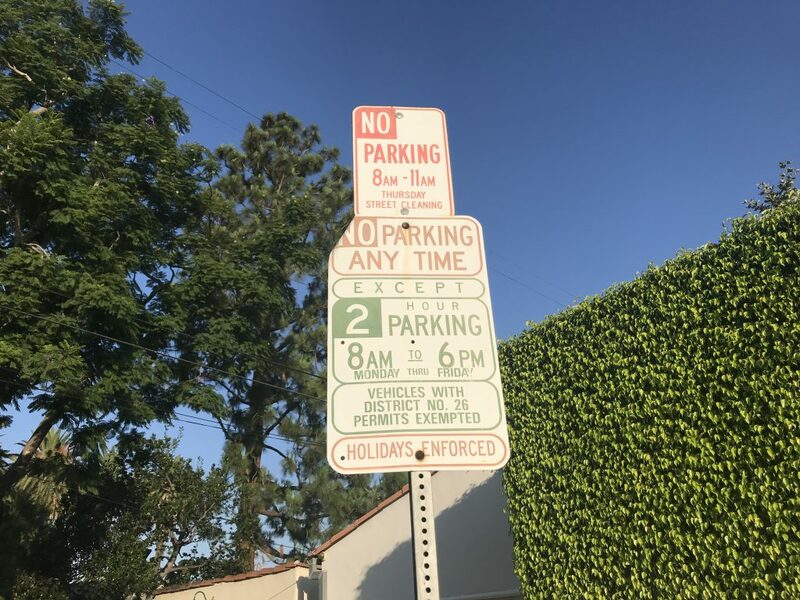 Long before sunset arrives on Sunset, the entire city has become the parking lot. So consider that amid Wednesday’s news that the Boring Company will dig a tunnel that will move people “from Los Feliz, East Hollywood or Rampart Village” to Dodger Stadium. Meanwhile, what’s happening with the Dodger offense? Justin Turner has been on fire. Since returning from his second trip of the year to the disabled list in early August, Turner has a .488 on-base percentage and .714 slugging percentage. More than that, he’s all but been his usual self since June 1, with an .885 OPS. Yasiel Puig has been on fire. Since his own DL trip ended in early May, the right fielder has a .365 OBP while slugging .578, for a .943 OPS. Cody Bellinger has been on fire. Since August 1, Bellinger has matched Turner’s .488 OBP while slugging a nearly compatible .605. Brian Dozier has been on fire. Starting his Dodger clock on August 1, Dozier is OBPing .429 and slugging .590. Despite an apparent EKG scare Monday, the second baseman is in tonight’s starting lineup for the Dodgers. Nevertheless, several Dodgers have very much not been on fire, leading to four straight losses and a 5-10 plunge over their past 15 games). 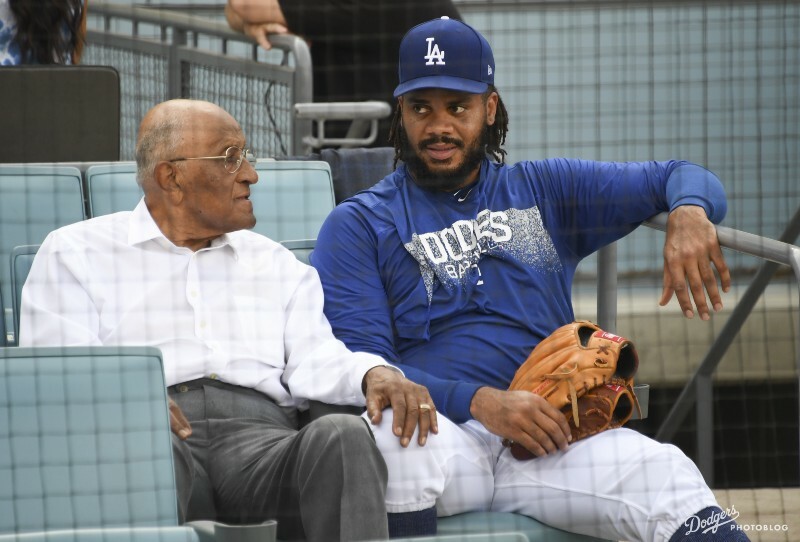 While the Dodger bullpen has pitched under a laser-firing microscope for the past several days, the underplayed story is how the offense has let the team down, scoring a total of nine runs in the final three games at Colorado and then two more Monday against the Giants. 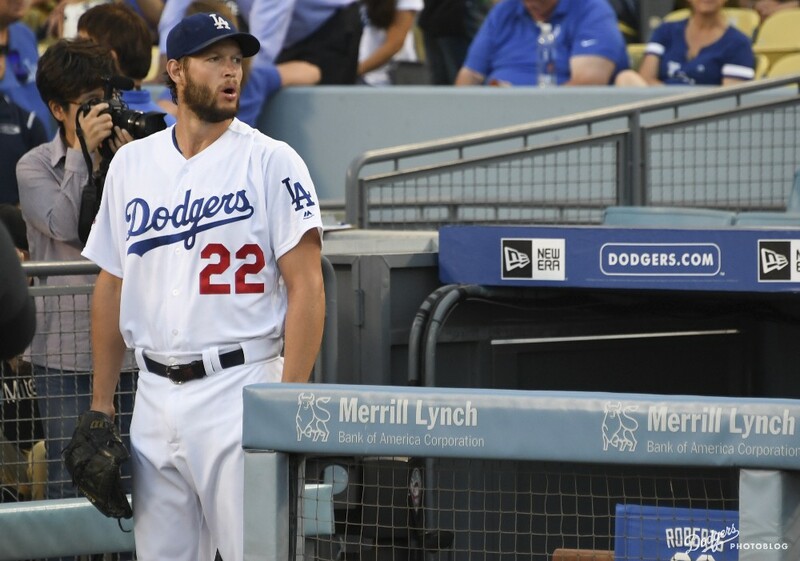 Since July 29, the Dodgers have scored 59 runs in those 15 games, but 21 runs came August 2 against Milwaukee. 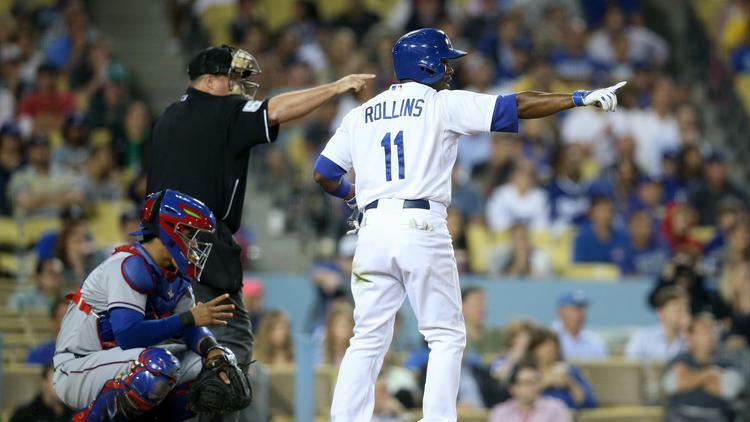 In the remaining 14, the Dodgers are averaging 2.7 runs per game. There’s no particular shame in being held to two by the likes of Madison Bumgarner, even if one of them is on a collision-inducing bloop double by Clayton Kershaw, but there’s still an important mini-trend to process. In making their July deals, the Dodgers bet big on bats, acquiring Dozier and Manny Machado. Their additions to the bullpen, Dylan Floro and the now fibula-challenged John Axford, look altogether small by comparison — but keep in mind baseball is a run-differential game. If you increase your offense, your bullpen gets more cushion. 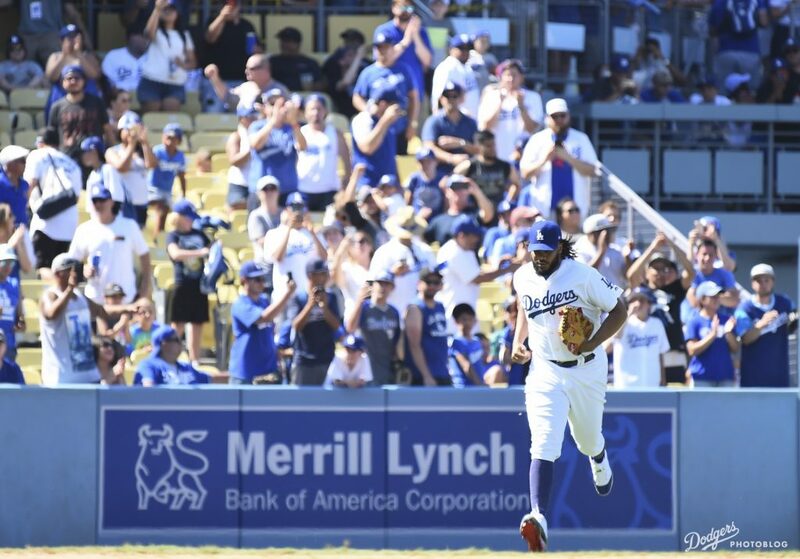 The Dodgers looked to ease the strain of their pen with a workaround, and certainly, the plan to eventually move two strong starting pitchers like Kenta Maeda and Ross Stripling into relief played into that intent. Obviously, over the past week, the strategy could not have looked worse, with the bullpen giving up go-ahead runs in six straight games. 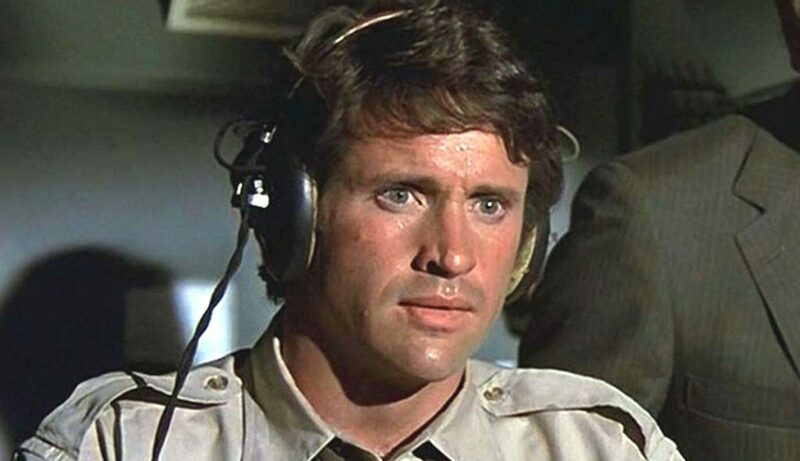 Kenley Jansen’s heart issue unexpectedly put more pressure on the relief crew than it was ready to handle. But also, the Dodger offense came to the rescue only once, in Thursday’s crazy 8-5 win. 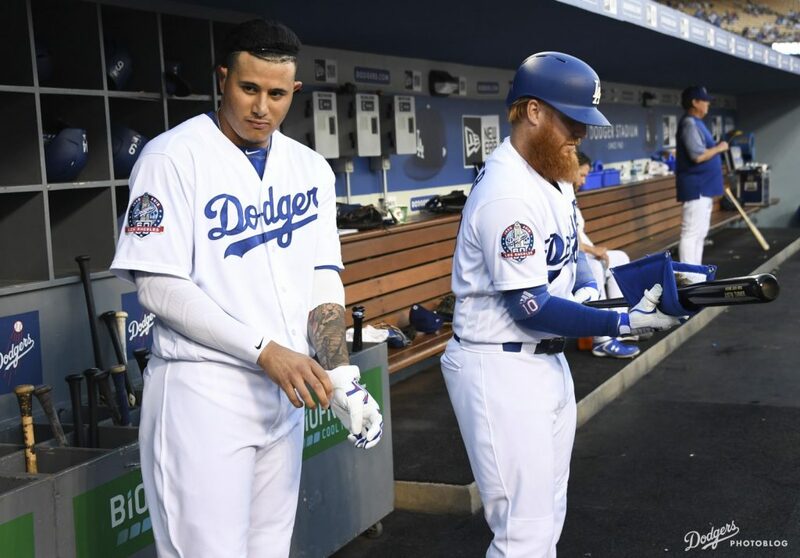 So when you look at the culprits of an ugly week, they include not only the relievers, but the recent performance of Matt Kemp, Chris Taylor, Joc Pederson and perhaps most frustratingly, Machado. Randy, are you all right? Oh, Dr. Rumack, I’m scared. I’ve never been so scared. And besides, I’m 26 and I’m not married. We’re going to make it, you’ve got to believe that. Dr. Rumack, do you have any idea when we’ll be landing? Pretty soon, how are you bearing up? Well, to be honest, I’ve never been so scared. But at least I have a husband. Are you impatient that the Dodgers are barely hugging first place in the National League West, let alone struggling to put more distance between themselves and the Diamondbacks, Rockies and Giants? With so many great options, there could hardly be a wrong answer to the question (FYI, I’m not making a dare here). I went with the Rodney McCray, epitomizing a fantasy I’ve had of basically making the most memorable, full-sprint, throw-your-body-into-oblivion catch of all time. Happy as I was to enjoy everyone’s favorites, which together formed a scrapbook of what makes baseball such a treat, the conversation delivered me (with a little help from Tuesday’s Keone Kela trade) to what might be my least favorite baseball play, or certainly one of the dumbest: the walkoff balk. I’m not big on bans — and certainly, this would be among the most trivial you might find — but this play should be banned. 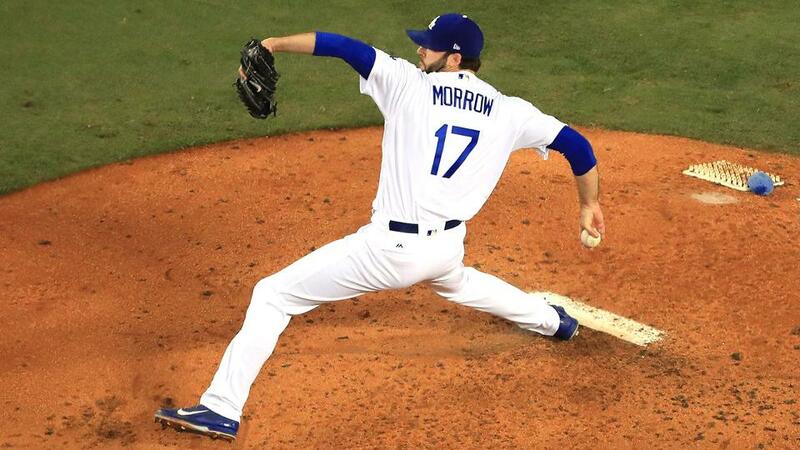 Brandon Morrow is the Joe DiMaggio of a lonely-eyed Dodger Nation.